I need to address the elephant in the room. While this issue had its emotional gut punching moments, the biggest detractor was the art. Neither Rafa Sandoval nor Ethan Van Sciver worked on this issue but instead Clayton Henry was on interiors. Before I continue on, Henry’s pencils are by no means terrible. I did have a couple of storytelling issues but his art does get the job done. It’s just not the level of quality that has I’ve associated with this series. His facial expressions (while a bit over exaggerated) perfectly conveyed the needed emotion they needed. I really enjoyed how Henry handled Guy confronting his father, the positioning of Guy is absolutely brilliant. It makes Guy not only look really intimidating but because of how Guy’s father is hunched, defeated as his son opens up old wounds. Such a powerful image. While Henry’s pencils are not of the same quality as Sandoval and Van Sciver, he still delivered a great comic. The crux of this issue centers around temptation. While the idea of superheroes being forced to deal with their morals, I can’t think of to many comics that feel as authentic as this one. Venditti doesn’t just channel the typical tropes one might see when a superhero is tempted to walk down the darkside, instead Venditti makes it extremely personal. Venditti also makes these moments easy to digest, because after all not everyone is versed in the complete history of The Green Lanterns. The only segment that didn’t go for the emotional conflict was Kyle’s attempt to recruit Orion to fight with them. Even though the moment itself is deeply serious, I personally found it to be a nice relief to the tension that Venditti has laid out. However I’m still not a fan of Guy becoming a Darkstar. I understand that Venditti is building off of Guy’s traumatic childhood and I can get around that, it’s the sudden transformation that doesn’t feel earned. Now Guy has always been the kinda character to be a bit more rough (and in the 90’s a full blown vigilante) but nothing within this series, let alone this arc would let any reader to believe that Guy would go down this path. Despite all of that, if the entire point was to put Arkillo into a position to potentially kill his brother from another mother than I think I can be okay with it. I’m only okay with showdown of friends is because the friendship between Guy and Arkillo was earned. 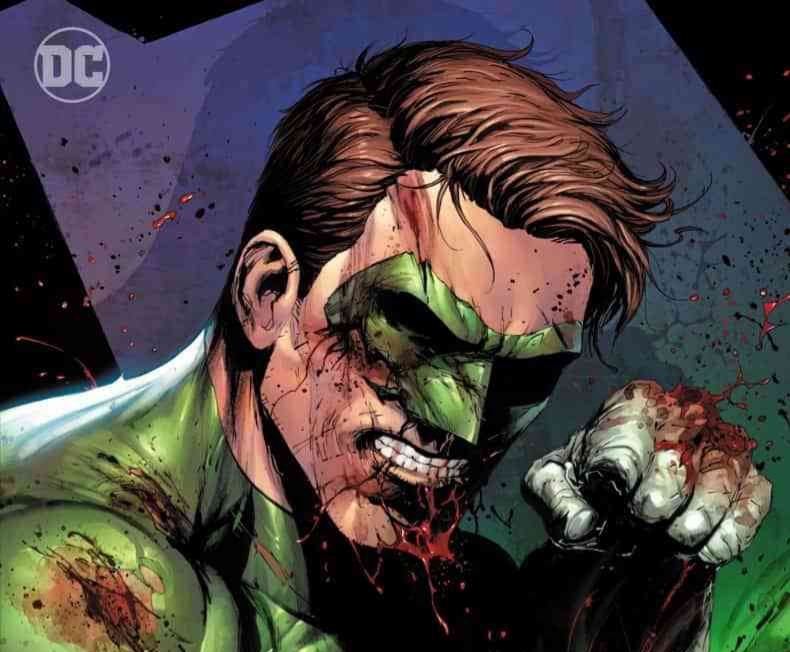 I look forward to having my heart ripped out after both of these two Lanterns beat the utter crap out of each other. God, How many more times does Guy have to get over his Daddy issues before its sticks? It reeks of laziness at this point.